The Centers for Medicare & Medicaid Services expanded how it defines the "primarily health-related" benefits that insurers are allowed to include in their Medicare Advantage policies. And insurers would include these extras on top of providing the benefits traditional Medicare offers. 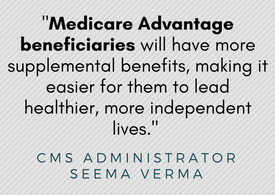 "Medicare Advantage beneficiaries will have more supplemental benefits, making it easier for them to lead healthier, more independent lives," said CMS Administrator Seema Verma. 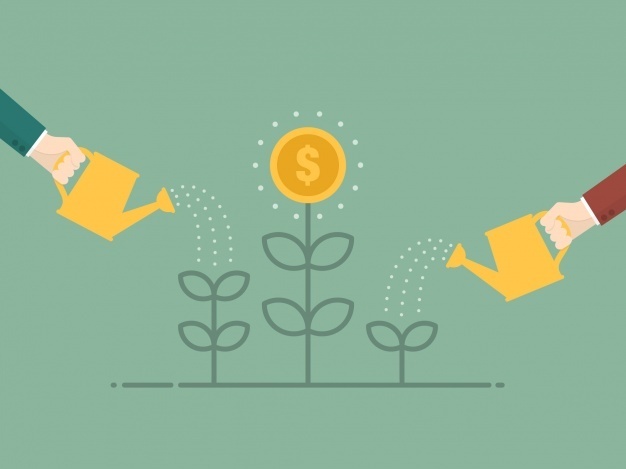 Although insurers are still in the early stages of designing their 2019 policies, some companies have ideas about what they might include. In addition to transportation to doctors' offices or better food options, some health insurance experts said additional benefits could include simple modifications in beneficiaries' homes, such as installing grab bars in the bathroom, or aides to help with daily activities, including dressing, eating and other personal care needs. "This will allow us to build off the existing benefits that we already have in place that are focused more on prevention of avoidable injuries or exacerbation of existing health conditions," said Alicia Kelley, director of Medicare sales for Capital District Physicians' Health Plan, a nonprofit serving 43,000 members in 24 upstate New York counties. Even though a physician's order or prescription is not necessary, the new benefits must be "medically appropriate" and recommended by a licensed health care provider, according to the new rules. UnitedHealthcare, the largest health insurer in the US, also welcomes the opportunity to expand benefits, said Matt Burns, a company spokesman. "Medicare benefits should not be one-size-fits-all, and continued rate stability and greater benefit design flexibility enable health plans to provide a more personalized health care experience," he said. But patient advocates including David Lipschutz. Senior policy attorney at the Center for Medicare Advocacy, are concerned about those who may be left behind. 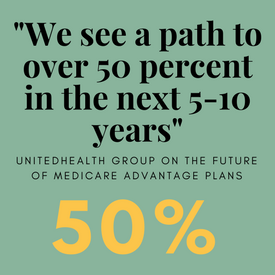 "It's great for the people in Medicare Advantage plans, but what about the majority of the people who are in traditional Medicare?" he asked. "As we tip the scales more in favor of Medicare Advantage, it's to the detriment of people in traditional Medicare." 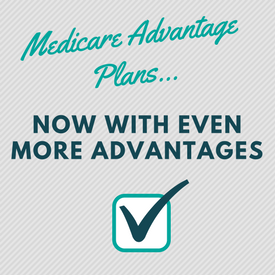 The details of the 2019 Medicare Advantage benefit packages must first be approved by CMS and will be released in the fall, when the annual open enrollment begins. It's very likely that all new benefits will not be available to all beneficiaries since there is "tremendous variation across the country" in what plans offer, said Gretchen Jacobson, associate director of the Kaiser Family Foundation's Program on Medicare Policy. 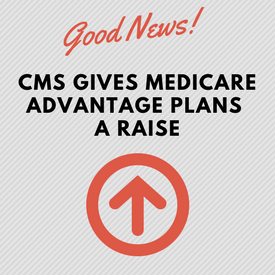 The CMS finalized a rule Monday giving Medicare Advantage plans a 3.4% pay hike in 2019. That's well above the 1.84% bump the agency initially proposed and higher than the 2.95% increase for 2018.